Summer means vacation time for many, and there is no greater feeling of freedom than to get out and enjoy recreational activities. This is also a good time to focus on the stress-relieving, mood lifting effects of exercise, which are just two of the many benefits of practicing it regularly. There are both short-term and long-term positive effects that can be gained that are beneficial to all but particularly to those who suffer from depression, anxiety, and stress-related conditions. Physiologically, exercise boosts our heart rates and gets more blood circulating. Besides a myriad of other physical effects, your brain chemistry also changes. The credit is often given to endorphins for boosting the good feelings. This has been found not to be the case. Rather, there are more complex actions taking place in which the brain produces its own opioids, affecting areas in the brain responsible for mediating pain and elevating euphoria. The brain can also produce “endocannabinoids” and these may play a role in activating dopamine in an area of the brain that stimulates pleasure. These effects are the result of more intense exercise than the average person normally participates in, and are short in duration. But more research is being conducted to determine baseline levels of activity and intensity needed to achieve these outcomes. Longer-lasting effects can be seen with long-term participation in voluntary exercise. Studies have been conducted with people suffering from clinical depression in which participants who exercised were compared to others undergoing drug therapy or taking a placebo. The results showed a strong benefit to both the exercise and antidepressant groups vs. the placebo. Even after a follow-up one year later, the individuals who kept up with exercise reported feeling better. Although it is not suggested that anyone forgo prescribed medication in favor of exercise to treat their depression, the possibilities are promising that exercise can be used as an effective tool in helping this condition. Other theories suggest that exercise can elevate serotonin levels in the brain as well as “BDNF” (brain-derived neurotrophic factor) which helps the nervous system. Exercise can also help us sleep better, and that combination can only help with lowering stress and elevating mood and energy levels. Exercise results in a number of energy producing cells in the muscles multiplying. It is also important to note that once you establish a regular habit of exercising, the feeling of purpose in the act of exercising and accomplishment and self-confidence gained are powerful mood and energy boosters. As little as a few minutes into your exercise, mood change becomes apparent. Beginners can start with 10-minute bouts spread throughout the day and build-up to longer duration. The more you exercise the better it gets. Increase the duration and frequency a little at a time until 150 minutes per week is achieved. 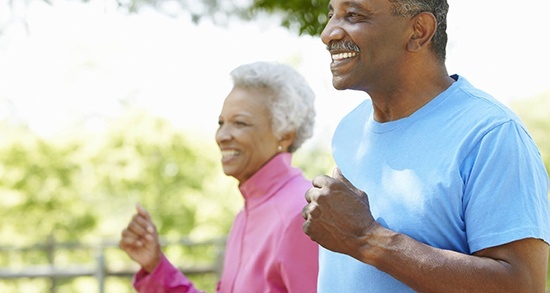 Following established exercise guidelines helps adherence and increases those benefits. Start at a moderate intensity and build-up to intervals of higher intensity. Find like-minded individuals to join you to increase the fun. Exercise is proven to be uplifting and energizing. There are physical and mental benefits and the more you do it, the more return you get for your efforts. With the long summer season ahead of us, you can look forward to being able to enjoy your favorite activities while improving your health and well-being.